Okay, I know. Fillets, right? These came from Zupan's, where everything cost twice as much as anywhere else but you buy it anyway because it makes you feel somehow whole inside. 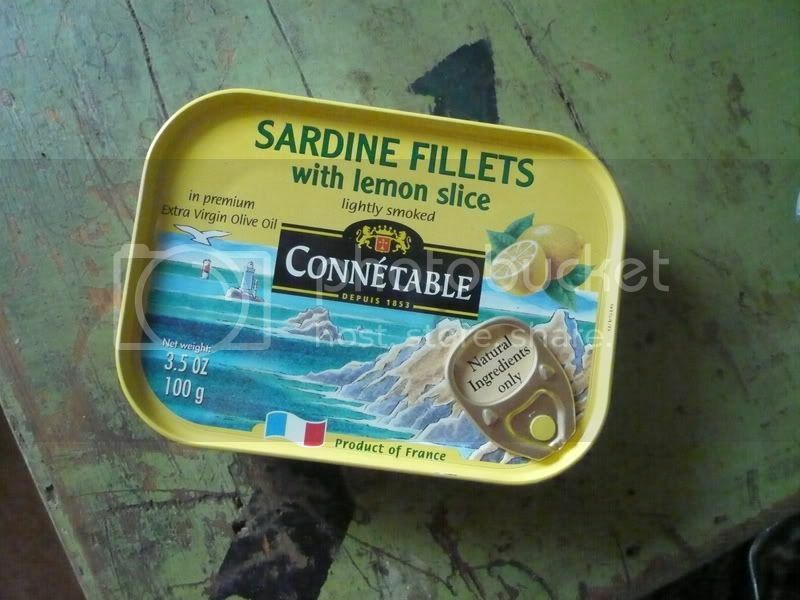 $4 for a can of, what I don't even consider to be worthy of the sardine name, and I bit anyway. I guess because they're French, and I haven't seen any others with that country of origin stamp. How can I describe these? Utterly delicious might be a good place to start. I guess sometimes a person can use a break from bones and skin. Get down to the heart of the matter without the little bit of gross that is so much a part of eating sardines. The lemon is what makes it. There's a thinly sliced piece at the bottom of the can, the fillets laid on top, and the whole thing drowned in wonderful olive oil. I guess the lemon breaks down eventually, because there are little pieces of it everywhere, and it infuses every bite. I sure wish I had some of that focaccia left. These would be lovely to cook with, should a person find a recipe that called for such a thing. Sadly, I can only give these three tins, though they deserve a four, plus. They're just not traditional enough. However, and at the same time, if you find them, buy them. Damn the cost. 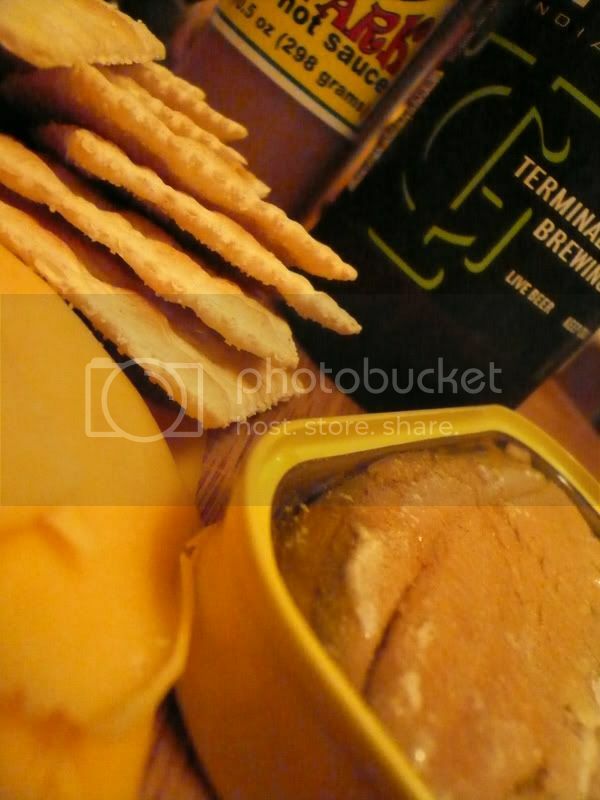 TG IPA, saltines, and Tillamook sharp cheddar. I pulled out the 'vark, but it stayed capped. Sounds delicious. Three tins, eh?